These girls are so talented and kind ;u; I really want to do the sketches thing as well, but I don't think I can get 10 people to request, and I'm constantly busy and in an art-blocked state. 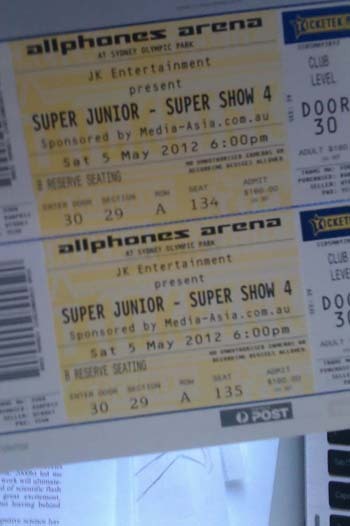 BUT today-- my ticket and Maryn's ticket to Super Show 4 in Sydney arrived in the mail. Pew pew ~ yeahhhh.